Dateline: Mississippi, 1946, which means many of the Magnolia State's soldier native sons are making the adjustment back to civilian life after serving overseas during World War II.. But the fighting isn't over for Sergeant Ronsel Jackson (Jason Mitchell), a black man reluctantly returning to the repressive Jim Crow system of segregation. After all, since he had been willing to die for his country, Ronsel figures it's reasonable to expect equality and all the rights of citizenship, racist traditions notwithstanding. So, when he arrives home, he boldly enters the local general store through an entrance reserved for whites. But despite still wearing his Army dress uniform, the proud veteran is greeted with a hateful warning snarled by a seething customer. "You're in Mississippi now, [N-word]! Use the back door, if you don't want any trouble." Ronsel grudgingly obliges, ostensibly less fearful of direct harm from the elderly white man than of the veiled threat leveled should he have the temerity to cross the color line again. 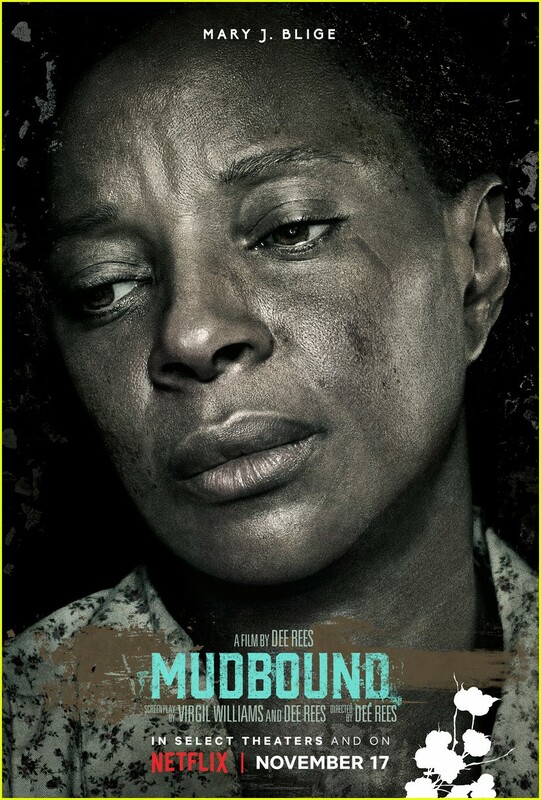 Ronsel can't afford to take any chances, because the intimidating bigot is Pappy McAllan (Jonathan Banks), the patriarch of the family which owns the farm where his parents (Mary J. Blige and Rob Morgan) presently reside as sharecroppers. Pappy's elder son, Henry (Jason Clarke), subsequently pays the Jacksons a visit, demanding an apology for the transgression. The plot thickens when Pappy's younger son, Jamie (Garrett Hedlund), a decorated Air Force pilot, comes back to the plantation with some new notions about race relations. He's suddenly pro-integration after having fought alongside some brave Tuskegee Airmen. Thus unfolds Mudbound, a searing Southern saga based on Hillary Jordan's best-selling, first novel of the same name. The movie marks the sophomore offering from director Dee Rees who made her own impressive debut with Pariah in 2011. Here, she coaxes a career performance out of Mary J. Blige, who might very well be remembered come awards season.